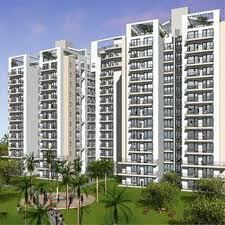 City Park is the new project launched by Pal Infrastructure in the heart of the city Gurgaon. The project boosts of the perfect lifestyle and elegance. The strategic location of the Sector 95, Gurgaon. is another benefit of the Project. Advantageously located at the location of Sector 95, Gurgaon, the project is well connected to major sectors of the city. Being very close to umpteen renowned educational institutes, commercial hub and healthcare facilities, the project is the much sought property. Surrounded by enchanting scenic beauty, amidst undisturbed free-flowing greenery, these well-ventilated apartments provide lungs to your home to breathe in fresh air, ensuring the least wastage of wind and light, a heaven for nature lovers who are passionate about park and clean environs. With every fresh day, a ray from the Sun helps you soak in the realization of a dream home. Open your eyes for it is not a dream any more. Your fanciful vision, a dream just took the enthralling shape of Pal City Park...a home you would love to own! About Pal Infrastructure Pvt. Ltd.
Pal Infrastructure and Developers Pvt. Ltd. is a venture of Pal Group. The Group has a strong presence of over 10 years and has carved a niche for itself in the burgeoning field of real estate development and construction. Pal Group has consistently set quality benchmarks in real estate development.